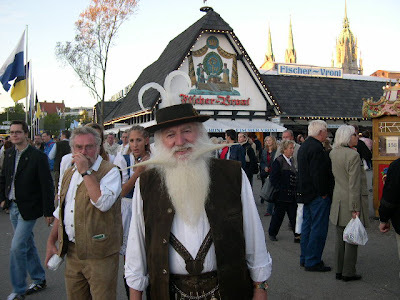 The Munich Oktoberfest traditionally takes place during the sixteen days up to and including the first Sunday in October. 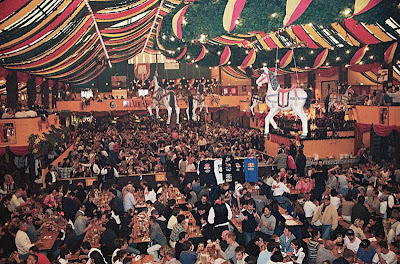 In 1990, the schedule was modified in response to German reunification so that if the first Sunday in October falls on the 1st or 2nd, then the festival will go on until October 3rd (German Unity Day). Thus, the festival is now 17 days when the 1st Sunday is October 2nd and 18 days when it is October 1st. 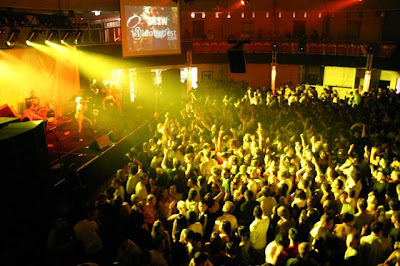 The festival is held on an area named the Theresienwiese (field, or meadow, of Therese), often called d’ Wiesn for short. Beer plays a central role in the fair, with every festival beginning with a keg of beer tapped by the Mayor of Munich who declares O'zapft is! (Bavarian for "It’s tapped!"). 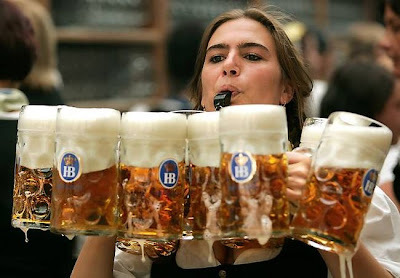 A special Oktoberfest beer is brewed for the occasion, which is slightly darker and stronger, in both taste and alcohol. 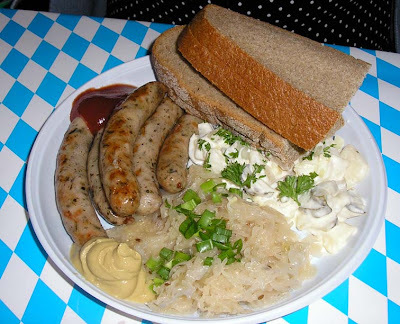 It is served in a one-liter-tankard called Maß. The first mass is served to the Bavarian Premier. 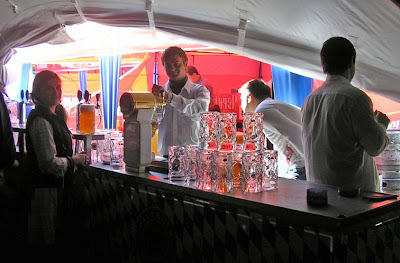 Only local Munich breweries are allowed to serve this beer in a Bierzelt, a beer tent which is large enough for thousands.